Task: to design a cover for a book on establishing relationships. Catherine Stothart defines four personality styles and believes that each person follows one of them in their interactions with others. In her book, Catherine describes these personality styles and explains how to communicate with different people, increase psychological resilience and build productive relationships. 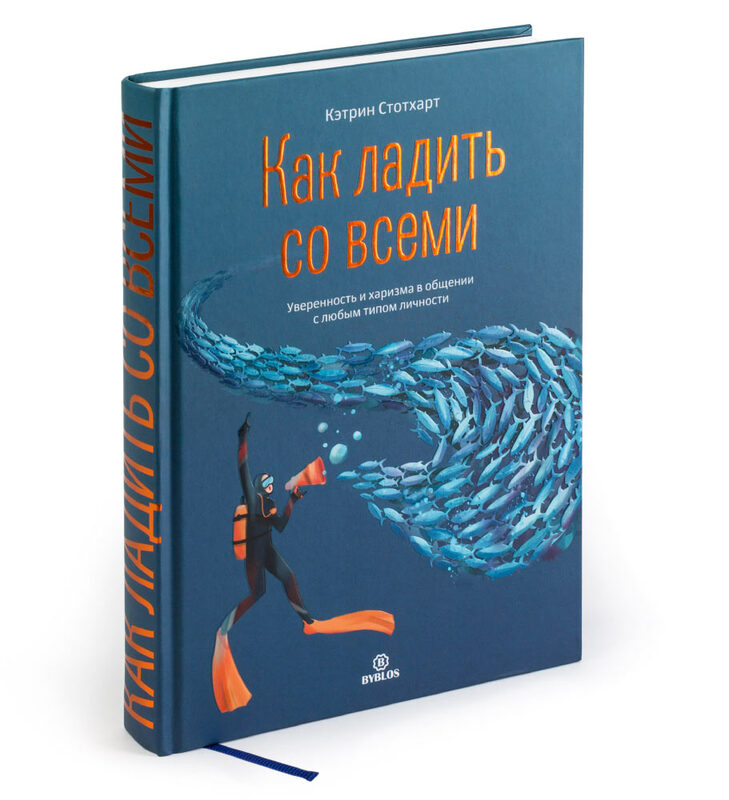 On the cover a scuba diver who has mastered the skills of effective communication successfully directs a group of fish.